3. Click on settings as shown by the red circle below. 4. 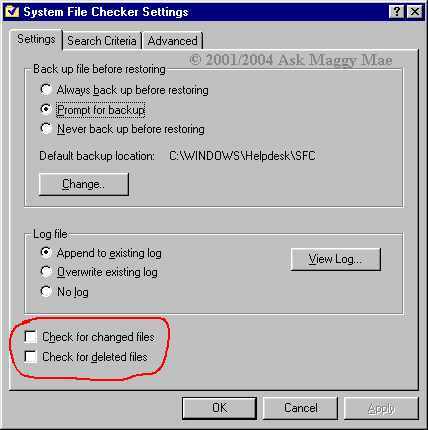 Check off both Check for changed files and Check for deleted files as shown in the red circle below. 6. Click Start and you will get a window that looks like the one below. 7. 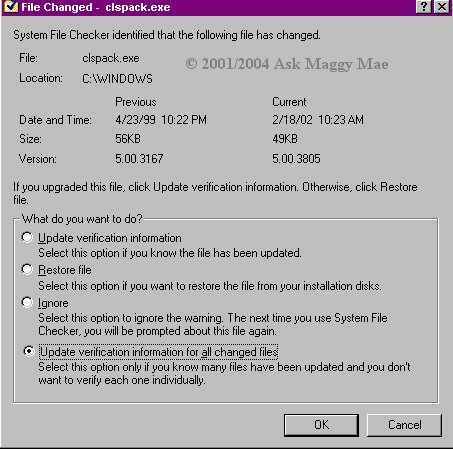 If you receive a prompt on changed or deleted files choose update on all files (as shown in the graphic below). 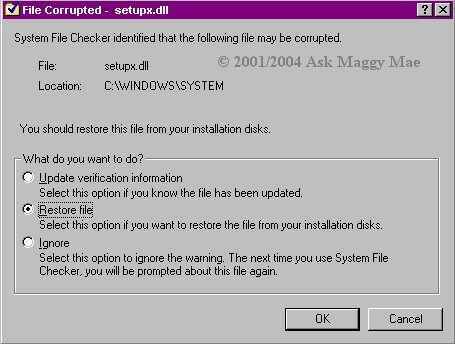 The graphic below is for changed file, but deleted file is similar. 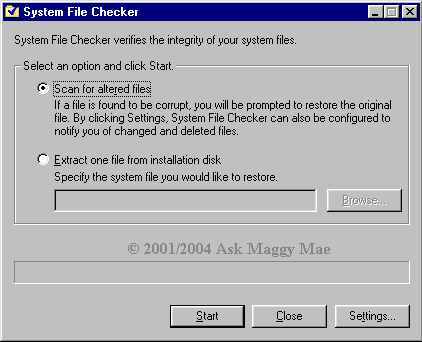 I just ran a system file check and I didn't get any deleted files so couldn't give screenshot of it. 8. 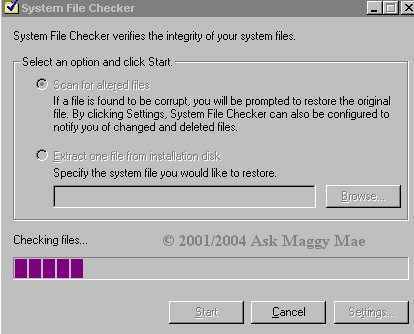 If you receive a notification that a file is corrupt you will want to restore this file, unless it is a setup file which is associated with some of the versions of IE, just choose update for this one if you get it. The one shown in the graphic below is a setup file for IE and I get this message every time on any machine after installing IE. 9. 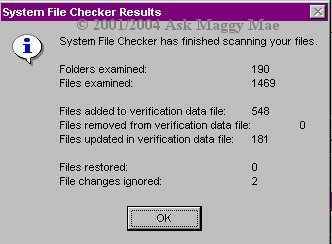 When system file checker is done you will most likely find that your computer is performing much better than it was before. Screenshot below shows the result of a scan I did.